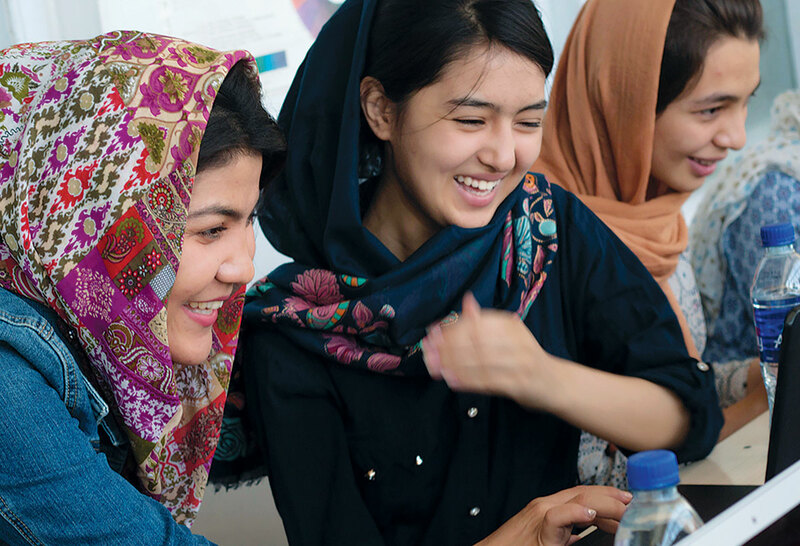 Bahara Mohammadi C’20, left, designed and taught a 10-day computer coding class to 20 Afghan girls in Kabul. "Whatever your love and passion is, you can pass it on to others." Bahara Mohammadi C’20 spent most of her childhood in Iran after she and her family were displaced by the war in Afghanistan, and attended high school in western Pennsylvania before arriving at Drew to study neuroscience. Time and distance only deepened her desire to share with other Afghan girls the gift that had changed her life: an education. 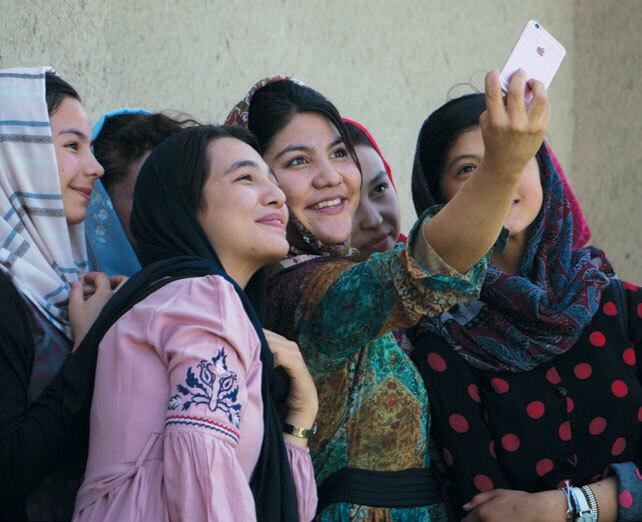 This past summer, Mohammadi returned to her homeland to teach computer coding to 20 Afghan girls in grades four to 12, through a program she designed herself: Afghan Girls Code. She spent a solid two and a half months on the project, soliciting donations, developing coursework, sending out applications and interviewing potential students. "They have really, really limited resources. The internet is so bad that it took me an entire week just to download the software onto 10 computers. One day the class had to go home early after we heard four explosions nearby. We learned later they were only 20 minutes away. People had died. Through it all, at the same time, the students were so positive."